It All Began On 9/11! In all that time there has been a wealth of conspiracies about the attacks…..and in my tradition of trying inform my readers I will offer up several articles that touch on the day. 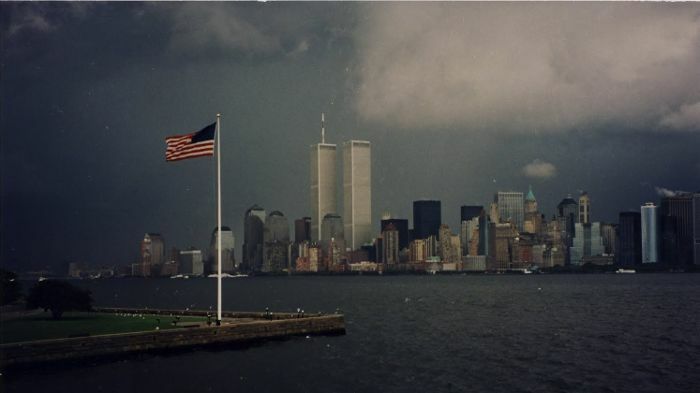 Al-Qaeda, the culprit that lead the attacks on 9/11 may be stronger than ever…..
One last thought–since the attacks of 9/11 the War on Terror has cost the country $1.5 trillion (that is with a “T”). A good friend and blogger (https://beetleypete.wordpress.com/ ) got me to thinking about the issue of hunger….as always I have an opinion on that issue as well……. There were times during my life when food was a major concern…..I admit that I had gone to bed hungry…..the saddest injustice for me is hunger. I have tried to focus on hunger here on IST…..
Then we have TV shows that waste food for entertainment….pumpkin chunking. bowling with raw turkey, etc. I find all such “entertainment” disgusting……but let’s look at hunger right here in the US, that shining city on the hill…..
Food insecurity exists in every county in America. In 2013, 17.5 million households were food insecure. More and more people are relying on food banks and pantries. Collect food outside your local supermarket for a local food bank. Sign up for Supermarket Stakeout GL. Kinda sad from a country that can spend $1.5 trillion on a war that it cannot win. It’s impossible to ignore the growth of economic inequality in each corner of the planet. Vulgarity is the order of the day, with the very rich hoarding vast amounts of wealth while the poor scratch the earth for their livelihood. The British-based charity group Oxfam has done an important service by offering an annual indication of the gravity of inequality. This year, Oxfam noted that a mere 42 rich people have as much wealth as 3.7 billion poor people. What is most astounding is that in 2017, 82 percent of the social wealth produced by the world’s people was vacuumed into the bank accounts of the wealthiest 1 percent among us. This is not an ancient problem, in other words, but a current problem posed by the structure of capitalism: goods and services are produced socially, but profit is sequestered privately—and with fewer and fewer hands able to seize this profit. Every generation wants to end world hunger and very generation fails to do so. I just cannot see a way to make the elimination of hunger a priority…..words will not feed anyone…it will take action but where will that action come from? We have been throwing everything we have at the situation in Afghanistan…..if that is true then give us an update. First we start with the documents that were used to start the war in Afghanistan. These details are never discussed because they have for nearly two decades been hidden behind a shroud of secrecy. But now, after nearly two decades of lies, the remarkable truth about the secret documents that helped launch the Afghan war can finally be revealed. And anytime Afghanistan is mentioned then someone has a winning strategy for the situation…. Whenever those types of posts are published there will be others that foresee the situation as a losing effort…. The Trump administration is optimistic about Afghanistan. Since the president a year ago introduced his plan—putting more U.S. boots on the ground and committing to our fifth round of re-entrenchment in America’s longest war—the conflict has been punctuated by a key milestone: its first ceasefire since 2001. But the Pentagon’s own assessments of Afghanistan are bleaker. For those that would like more info on the war in Afghanistan then maybe the Special ops updates will be helpful…. IST tries to stay tuned in to the conflicts we are fighting around the world and will bring as much news as possible to keep my readers informed. North Korea is once again in the news….NO we do not have a peace treaty and we have not got a deal to dump all nukes on the Peninsula……basically something nice was said by Kim about Trump and that warranted a couple days of news reports. The news now is in a parade to celebrate 70 years of a Kim at the wheel….there were the usual suspects marching in review but what was not usual was the lack of missiles in the parade make-up…. North Korea rolled out some of its latest tanks and its best-trained goose-stepping units through Kim Il Sung Square in a major military parade Sunday to mark its 70th anniversary, but held back its most advanced missiles and devoted nearly half the event to underscoring Kim Jong Un’s new strategy of putting economic development front and center. Tens of thousands of North Koreans waving brightly colored plastic bouquets filled Pyongyang’s Kim Il Sung Square as the parade began, reports the AP. Pyongyang residents have been training for months for the anniversary and held up the bouquets to spell words and slogans that can be seen from the VIP viewing area. Those unable to attend at the square lined the streets around town to cheer convoys carrying the troops after they complete parade duties. This should send the analysts into a frenzy trying to explain what Kim is doing. Is this something positive or negative? President Donald Trump has received a request from North Korean leader Kim Jong Un for a follow-up to their historic June summit, and planning is in motion to make it happen. White House press secretary Sarah Huckabee Sanders said Monday that no details had been finalized, the AP reports. Trump had told reporters last week that he was expecting a letter from Kim. Sanders said Trump has received the letter, which she described as “very warm, very positive.” The White House will not release the full letter unless Kim agrees it should be made public, she said. “The primary purpose of the letter was to request and look to schedule another meeting with the president, which we are open to and are already in the process of coordinating that,” Sanders said at her first press briefing in nearly three weeks. She cited the letter as “further evidence of progress” in relations between the leaders. I think a second meeting would benefit only Kim…..the US would get little out of it and in turn would look like we were graveling to Kim. I have written about the ever expanding special ops in Africa….not just a few countries I mean the whole damn continent. As I said “the ever expanding” role of US Special Ops in Africa…. It hardly matters where you look. There are the nearly million-and-a-half weapons that the Pentagon shipped to war-torn Iraq and Afghanistan. As a recent study shows, it evidently lost complete track of hundreds of thousands of them, many of which seem to have simply gone on the open market in countries where buyers are unlikely to be the crew of our dreams. Or there’s the $6.5 trillion (that is not a misprint) that the accountants for a single service, the U.S. Army, seem to have lost track of in 2015. Or there’s the simple fact that the Pentagon is utterly incapable of conducting a successful audit of itself or, on a minor note, that its officials can’t even keep track of which of their underlings go to strip clubs, “adult entertainment establishments,” and casinos on the taxpayer dollar. You could say that, though it swallows up at least $600 billion-plus a year of our money, it’s an organization that seems remarkably comfortable knowing remarkably little about itself (which means of course that you know next to nothing about it). The point is the more places and troops deployed the better the chances are that someone will be killed……and that needs to be controlled by the representative bodies….as it is today…they are not!